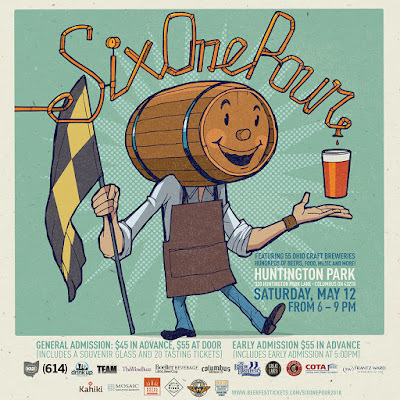 COLUMBUS, Ohio – Six One Pour: The Ohio Craft Beer Fest returns to Huntington Park in the Columbus Arena District on Saturday, May 12 from 6-9 p.m. The festival serves as the signature event of the 2018 Columbus Craft Beer Week celebration and will count 55 Ohio craft breweries as participants. General admission tickets are available in advance for $45, which includes a souvenir glass and tasting tickets for 20 four-ounce samples. Early admission tickets are also available for $55, allowing entry at 5 p.m. Designated driver admission is available for $15 and includes a food/non-alcoholic beverage voucher. Confluence IPA, the hazy IPA collaboration beer made by 20 Central Ohio breweries for Columbus Craft Beer Week, will be available at Six One Pour at the Four String Brewing Company table. The event will also feature live music and games and prizes courtesy o the CD102.5 Scene Team. Select concession stands inside Huntington Park will be serving food throughout the event. 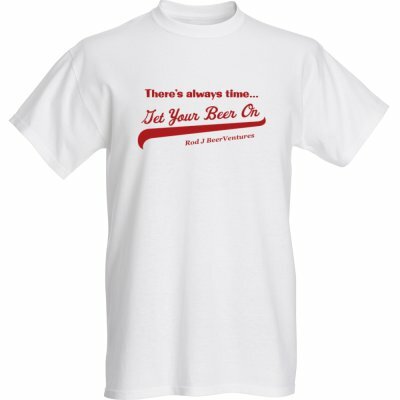 Ohio On Tap app users will receive 5 bonus passport stamps for attending the event. 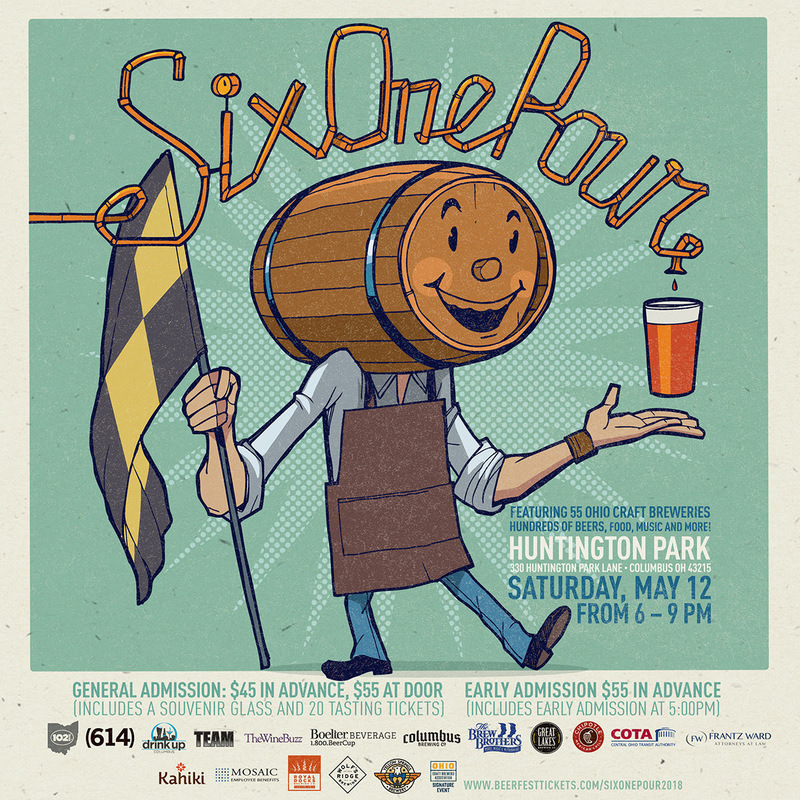 Six One Pour: The Ohio Craft Beer Fest and Columbus Craft Beer Week are fundraisers for the Ohio Craft Brewers Association. This year's Columbus Craft Beer Week celebration includes over 225 craft beer events at participating breweries, bars, restaurants and retail shops around central Ohio.